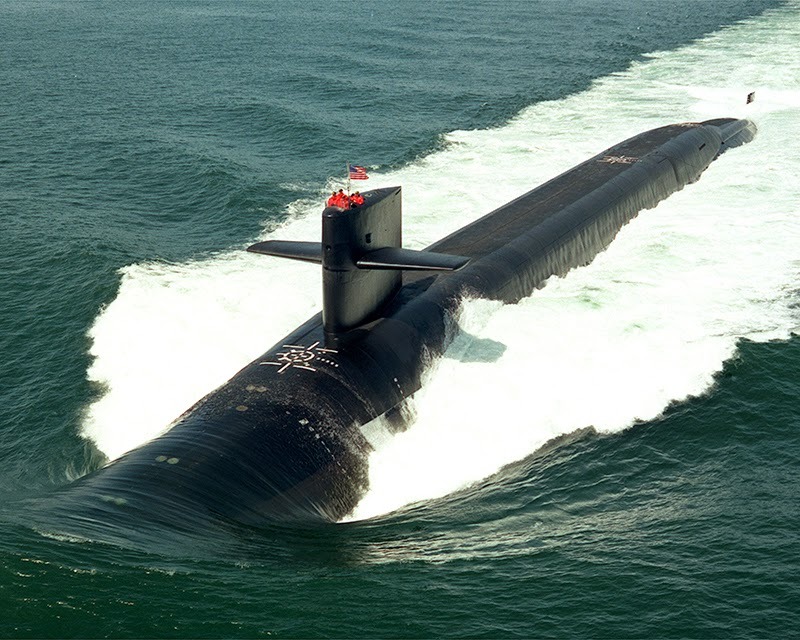 The Ohio class is a type of nuclear-powered ballistic missile submarines (SSBN) produced by United States (General Dynamics, Electric Boat) and operated by the United States Navy. 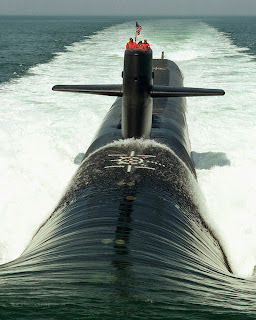 These submarines are the largest submarines ever built for the Navy and they carry more missiles than any other ballistic submarine in the world (watch the following nice video). 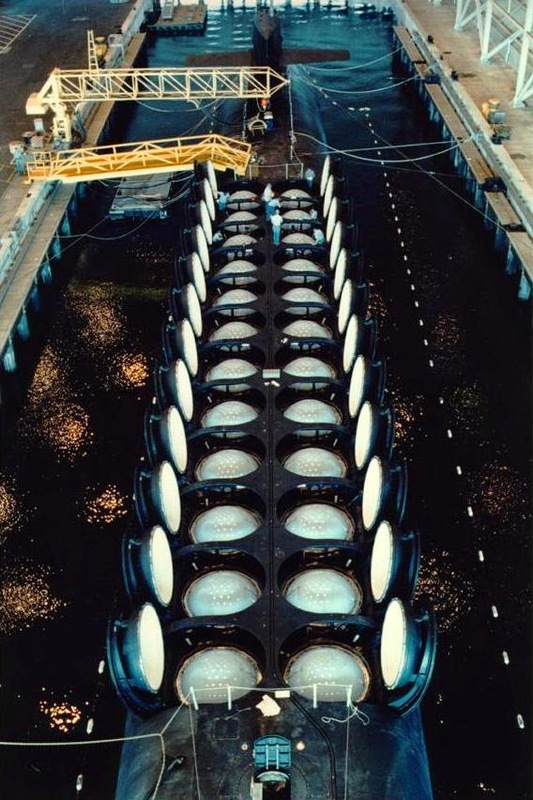 This force of ballistic missile submarines carry approximately about the half of the total inventory of the total US active inventory of strategic thermonuclear warheads. From the 18 submarines in the class, the first four (4) of them have been converted to guided (cruise) missile submarines (SSGN). 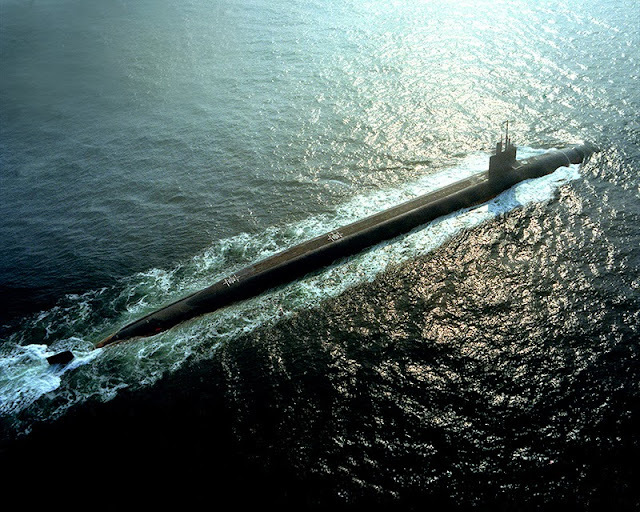 Each ballistic missile submarine is armed with 24 Trident II D5 submarine-launched ballistic missiles (SLBM) with a range of about 11,300km (!) carrying up to 12 MIRVed W76 or W88 (300–475 kt TNT) nuclear warheads each . 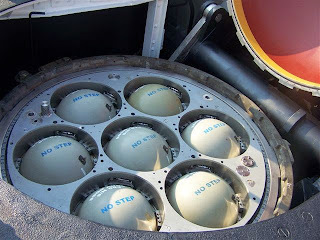 Each cruise missile submarine carry seven (7) cruise missiles in each cell of total 22 therefore a single submarine can carry maximum 154 (!) 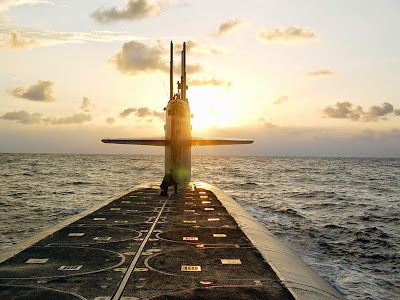 Tomahawk cruise missiles with either conventional or nuclear warheads, a complement of Harpoon anti-ship missiles to be fired through their torpedo tubes plus they are able to sustain more than 66 Special Operations Forces personnel. All the submarines are armed with four (4) 21in torpedo tubes for Mk48 heavyweight submarine-launched torpedoes designed to sink deep-diving nuclear-powered submarines and high-performance surface ships. Cutaway of Ohio class ballistic missile submarine (SSBN). Image: unknown. In high resolution here. The boats have a displacement of 18,800 tons while submerged, a length of 170 meters, the maximum diving depth is about 250 meters and they can achieve a speed of 12 knots surfaced and 25+ knots submerged. The crew consists of about 155 crew members. The endurance is limited only by food supplies. Each patrol usually lasts around 70-90 days.